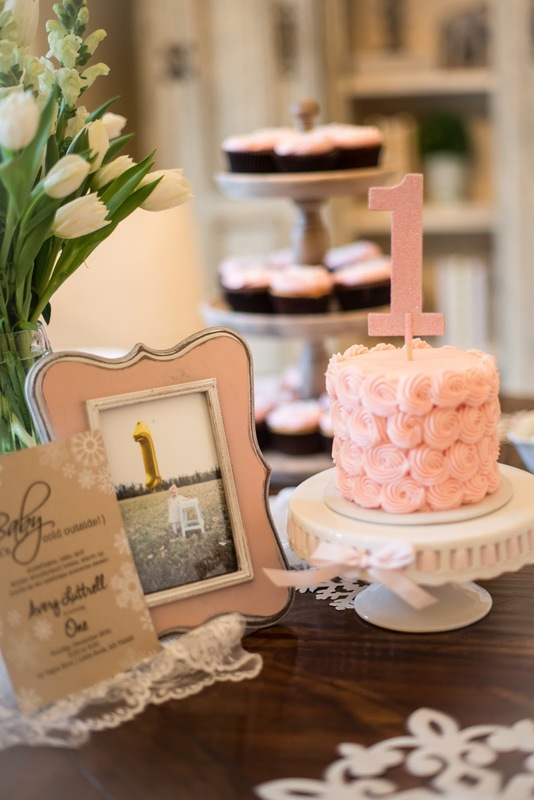 This weekend we celebrated my sweet niece, Avery Claire. Avery is a Christmas Eve baby and she will be one year old in just a few short days. Her birthday party was yesterday and we had so much fun getting to be there with her on her special day. My SIL did such a great job on her birthday party! 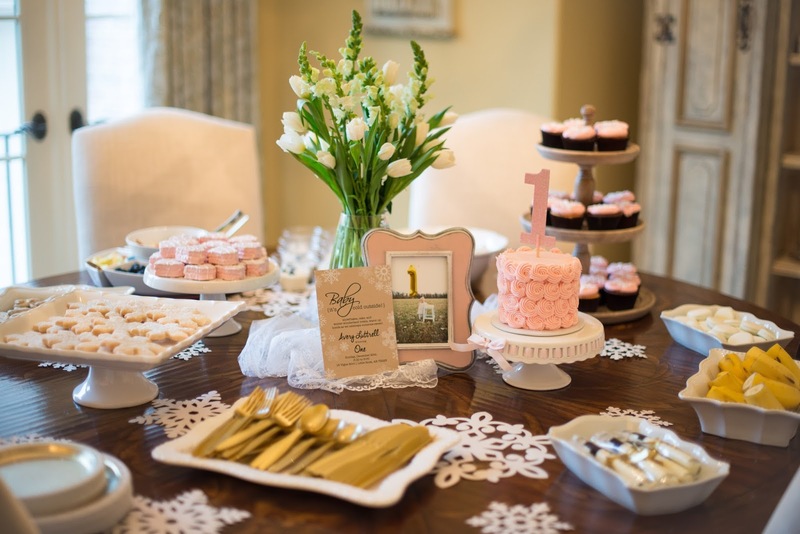 It was a wintery/snowy theme and everything was decorated with soft pinks and whites. All of the food/treats were white and there was a hot chocolate bar with all sorts of fun toppings. The party was at my parents house and Avery had so many friends and family show up! She is one loved little girl. Avery had fun opening up all of her presents and she racked up with some pretty awesome new toys!! 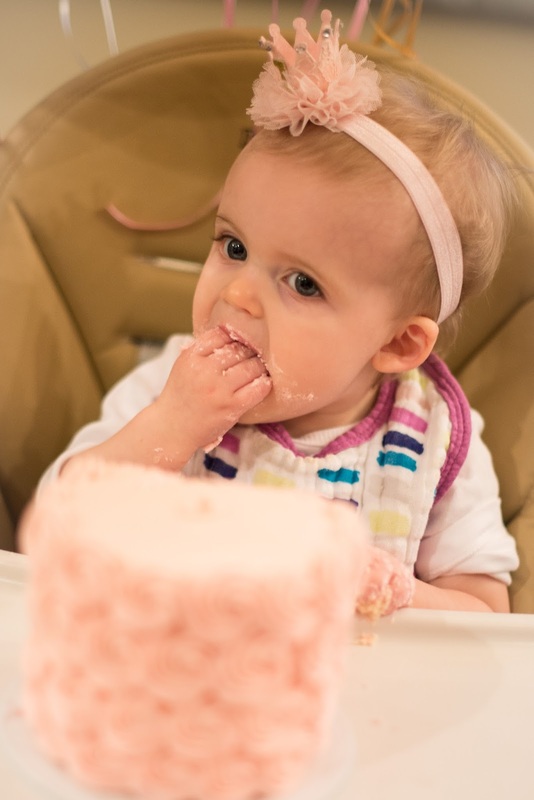 After presents, Avery got to dive into her little smash cake. She wasn't real sure what to do with it at first but once she got a taste of it she decided that was some pretty good stuff! She hardly made a mess of it even though she helped herself to a pretty large serving!! She's such a little lady. We had a great time at her birthday party! Campbell's favorite part was playing with her balloons. I can't believe she's been in our life for (almost) a whole year now! What a joy and blessing she is to our family. We love you Avery!!!!!! On my daughter’s birthday cake smashing was the best thing she could have been done. She did it like someone told her to do so. We arranged her 1st birthday party for her at New York venues and my little lady had so much fun there.